Football season starts this week, and no two groups of people are more excited for something new to watch than Cubs fans and Indians fans! Kirk and I held the first ever GoBoilers.net retreat in Cincinnati two weeks ago using the money we've made from our very wealthy sponsors. Unfortunately, companies like Google, Hilton and The Wynn Las Vegas feel that our site has not given them enough business and wait to credit us even a dollar until the entire population of the US views GoBoilers.net. Plus, nobody clicks on our ads, so we don't get to capitalize on the big moneymaker. Not that I blame anyone. I'm guessing I was in fifth grade when I last clicked an ad. It surely had a Victoria's Secret model on it. Anyway, due to our lack of funds from the site, our GoBoilers.net retreat consisted of two nights in a suburban Cincinnati WalMart parking lot. Luckily for us, John McEnroe was also staying there. After getting into an argument about who gets to use the trash can for a urinal, we relented when John offered us his tickets to the 2012 Western & Southern Open! 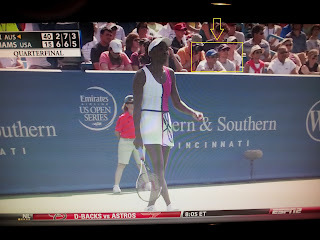 We were on ESPN more often than the Paint Crew guy with the hair and the weird dance moves and had an amazing time. The point of the retreat was to map out plans for the upcoming football season - Previews, Recaps, etc. 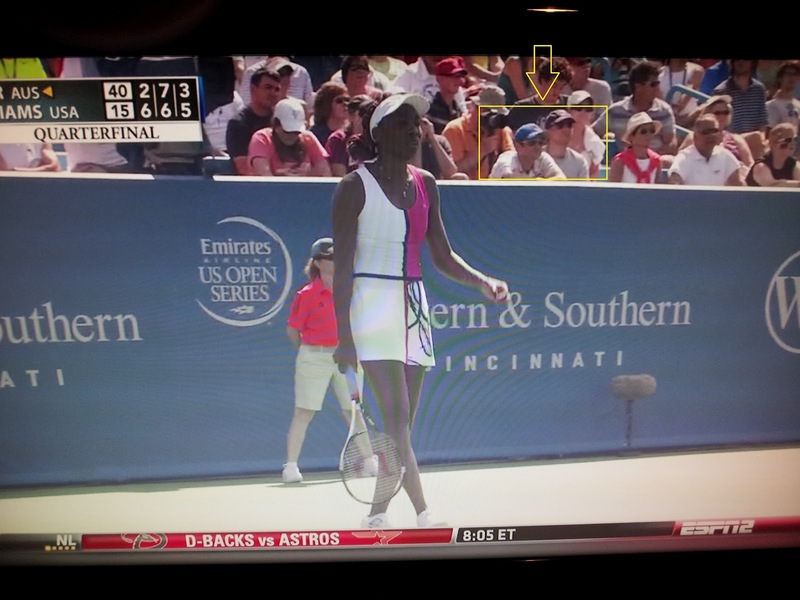 Instead we spent it mesmerized by the best tennis players in the world. I am dead serious that when we left Cincinnati to head our separate ways on Sunday morning, we both looked at each other and said, "Damn, we forgot to talk about the blog!" So, instead we're going to wing it with a template I'm coming up with right now. Each preview will start with some rambling that may or may not have anything to do with the upcoming week's game. This will be the freestyle portion and likely the only part my wife will read. The rest will fit into a nice little template that will leave you yearning for more. We know we can't provide all the info that the other guys provide. What we hope to provide are those one or two nuggets that you can use with your friends to REALLY impress them on gameday. For you people, you might as well skip the freestyle section. Our lame attempts at humor will only fill you up like when Joey Chestnut goes to the ballgame and has to pass on nachos. He KNOWS nachos are amazing (especially with double cheese), but he can't afford to waste any room in his stomach for non-hot dog awesomeness. Eastern Kentucky is an FCS school! Purdue has 3 times the talent, 3 times the depth, and 3 times the quarterbacks. The offense should have a field day as Akeem Shavers goes for big yards and Caleb TerBush and Robert Marve do everything except settle the debate as to who should be the starter. The huge question surrounds Rob Henry's role. Does Purdue try to get him involved with the offense or do they avoid tipping their hat as they head to Notre Dame (for a much more winnable game than originally thought) the following week? It probably depends how close the game ends up being. Loyal readers of this blog know that I'm scared to death of Eastern Kentucky (the true preview of Eastern Kentucky is at that link). To sum it up, Eastern Kentucky has one of the top FCS defenses and one of the best running backs in the entire country. Purdue is likely to be trying out new things with the quarterbacks on offense and has really struggled with run defense in the last several years. I appear to be the only Purdue fan who doesn't think we'll destroy them, and I honestly think this is going to be a tight ballgame. If Purdue starts turning the ball over to Eastern Kentucky's high-powered offense, be prepared for some angry Purdue fans. This team is much better than Rice was last year. 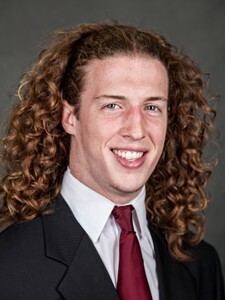 Kevin Hamlin has this Carrot Top/Sideshow Bob thing going on, and he also has the skill set for a feature second-half BTN montage. Hamlin is a starting linebacker for the Colonels and has a chance at all-conference honors this year. Let's hope TerBush/Marve/Henry can keep it away from him and his ridiculous hair so we don't have to see any closeups of that mug. As an aside, my wife thinks he looks like Prince William trying out for a part in the Lion King. Kirk and I feel we know Purdue better than Vegas knows Purdue. Therefore, we'll each make an imaginary bet based on the the spread and see whether we should move to Vegas full-time. Unfortunately, there are no odds posted against FCS schools, so we'll make up an imaginary, reasonable spread of Purdue (-21). This week, Kirk and I will be betting the value of the most expensive beer we purchased in the prior week. I am betting $8 in honor of a bottle of Dos Equis that I had on a rooftop bar in New York City. That was the biggest ripoff ever, but at least the views were nice! Kirk will be betting $10 in honor of one of two beers on the week. Either the Heineken he had at the US Open (in a commemorative cup at least!) or Gina, a Thyme Pale Ale on cask at Eataly's beer garden in New York City. It's "a traditional American Pale Ale with fresh thyme from the hills of Borgorose, Italy." - With Dwayne Beckford's run in with the law (yet again), the rest of the defense will need to step it up against a very good FCS team. - Don't forget about the new rules this year - especially on kickoffs! I too think the game will be close, let's just hope it doesn't come down to a 'stache battle, because the EKU colonel's beats Danny Hope's. Amazingly I will have an EKU alum at my house during the game, so that should keep it exciting no matter the outcome. Love it! Don't know how I missed the 'stache comparison - that could loom large in the final outcome. The Chelsea Clinton reference is awesome. I think the bigger concern here is that everyone sees Prince William in this guy. Are we really saying that if he cut his hair and had some royal blood, he'd be able to land Kate? Yikes! The EKU fans appreciate the coverage of Kevin Hamlin! On a side note: he has been growing the hair out for Locks of Love, as his Mother is a Breast Cancer Survivor and he is doing it to honor her. We appreciate the recognition and hope we have the ability to be competitive today. Purdue has a great coach in Danny Hope and when EKU is not playing Purdue......we are pulling for them to win.